Excellent Condition, GREAT MILES 2! Sunroof, iPod/MP3 Input, Onboard Communications System, Remote Engine Start, Alloy Wheels, Back-Up Camera, Satellite Radio. Sunroof, Back-Up Camera, Satellite Radio, iPod/MP3 Input, Onboard Communications System, Aluminum Wheels, Remote Engine Start. Honda EX with Crystal Black Pearl exterior and Black interior features a 4 Cylinder Engine with 158 HP at 6500 RPM*. Serviced here, Non-Smoker vehicle, Originally bought here. Edmunds.com explains "An excellent all-arounder, the newest Civic drives well no matter which version you pick. Out on the highway, the Civic offers a composed ride quality that doesn't get overly floaty or harsh. 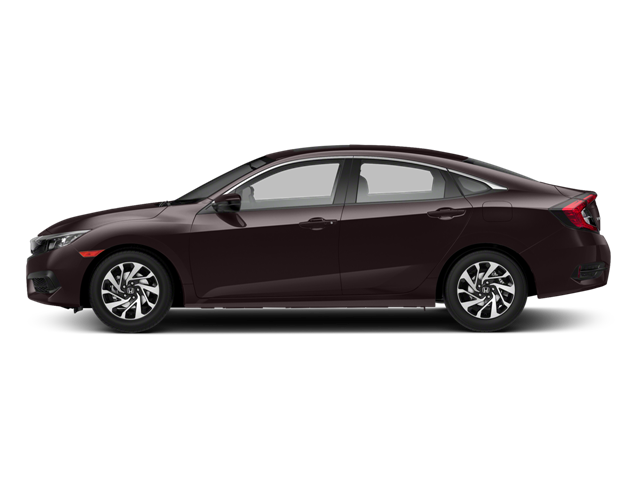 No matter how you look at it, the 2017 Honda Civic is one of the best cars in its class.". Pricing analysis performed on 12/5/2018. Horsepower calculations based on trim engine configuration. Fuel economy calculations based on original manufacturer data for trim engine configuration. Please confirm the accuracy of the included equipment by calling us prior to purchase. Hello, I would like more information about the 2017 Honda Civic Sedan, stock# HC7343. Hello, I would like to see more pictures of the 2017 Honda Civic Sedan, stock# HC7343.